We understand guests want assurances that the company they are dealing with is genuine and that the business is legitimate. VillaDirect – Orlando Vacation Homes has been in business since 1998. Over the last 20-plus years, VillaDirect has become one of the leading independent companies in Orlando area vacation rentals. VillaDirect has sought industry associations and affiliations with many of the industry’s most trusted partners. The company is a proud member in good standing with many travel industry and consumer education organizations. VillaDirect was the first company to be recognized by Walt Disney World under the Disney Vacation Home Rental Connection program. This program encourages consistent quality standards in property care and customer service. The Walt Disney Corporation carefully screens vacation rental companies around the Walt Disney World® Resort area. As a result, it defines requirements for property standards that guests expect and benefit from. Because of this logo, visitors to Central Florida can quickly identify companies with Walt Disney World® Resort affiliations. They can also quickly see which companies offer quality service and standards, as well as consistently reliable accommodations. 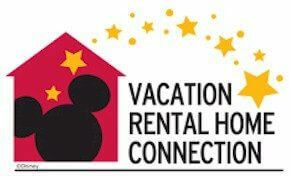 Disney Vacation Home Rental Connection companies are also authorized Walt Disney World® Resort ticket providers. Most noteworthy, VillaDirect is the only company in the program who is authorized to offer Walt Disney World® tickets directly from the source. The Better Business Bureau is an organization that monitors companies on behalf of consumers. It regularly reviews them for their levels of customer service, reliability, and security. To achieve the BBB Online Reliability logo displayed on our pages, VillaDirect has met or exceeded the set criteria. Also, in accordance with the rules and regulations given by the National organization, we are regularly assessed for our compliance. Visit Florida is the state tourism body for Florida. Formerly known as FLAUSA, Visit Florida is an on-line and print resource for guests visiting the state. It also provides information on attractions, nature, events, accommodations, and much more. VillaDirect Vacation Homes has been a partner member of Visit Florida for over 12 years and is featured on the Visit Florida website’s list of affiliations. The Kissimmee Convention and Visitors Bureau is now known as Experience Kissimmee. It is designed to provide visitors to Kissimmee with a one-stop resource to find accommodations including vacation homes. It also allows visitors to see details of attractions and information on the town and the area. Furthermore, it has other facts and statistics, as well as a place to book convention space at one of the local convention arenas. You can find further information about VillaDirect on our website, and we are also a member company of Experience Kissimmee. The Department of Business and Professional Regulation (DBPR) in the state of Florida is the regulatory body for vacation rentals. It, therefore, inspects each and every Florida vacation home, townhouse, and Disney vacation condominium that VillaDirect Vacation Homes offers to its guests. Each inspection ensures that the property offered to you complies with statute 509 (part 1) of the Florida legislature. The state of Florida licenses each home on an annual basis. If a guest encounters any problem which falls within the purview of the regulations, the company will (as always) make every reasonable commercial effort to rectify the problem during the guests stay.